One of my roommates found an annoying problem after iOS update concerned Notification sounds can’t hear or not working when any message or text arrives on iPhone. I know that my buddy feeling so bad whether they miss important text alerts and apps notifications. Generally, he uses LED Flash for notification alerts as an extra option for nighttime and whether iPhone placed on desk or bedside tool. I advised him the optimal solution to fix annoying problem notifications sound not working. If you come same issue iOS notifications sound not working after update iOS. Don’t worry. just follow steps by step clues and get resolved. Furthermore, many users encountered iOS 12 notifications arrives but no badge appear on the App icon. So get here everything about organize Notifications Center and gets back Third-party app notification sounds. Hopefully, this will work for you. First of all, you have to check that ringer switch isn’t downwards. 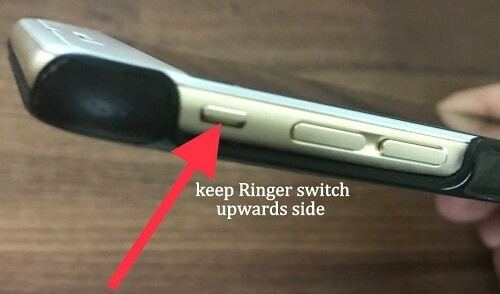 Because the iPhone’s left side ringer switch’s down position makes incoming call ring and notification alert mute. Please keep it upwards, and increase sound by pressing Volume Up button. Now test. 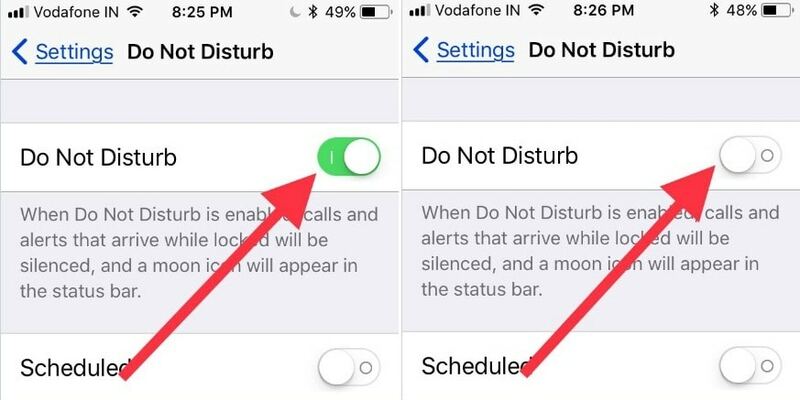 Enable DND feature stops all notifications, alerts, incoming calls from making any noise and vibration. So that go Settings, tap on Do Not Disturb and make DND toggle disabled/white. In more, you can also confirm by shortcut way just see on iPhone status bar, if can’t appears moon icon left to the battery percentage. If you’ve encounter problem with any individual app then go to Notifications in Settings App. Now scroll down the screen to find an App under Notification Style section. For instance, Snapchat, Whatsapp, Facebook, Messenger, Mail, Messages, and much more. here I give you an example of Whatsapp Messenger to organize Badges, Sounds, and banners. 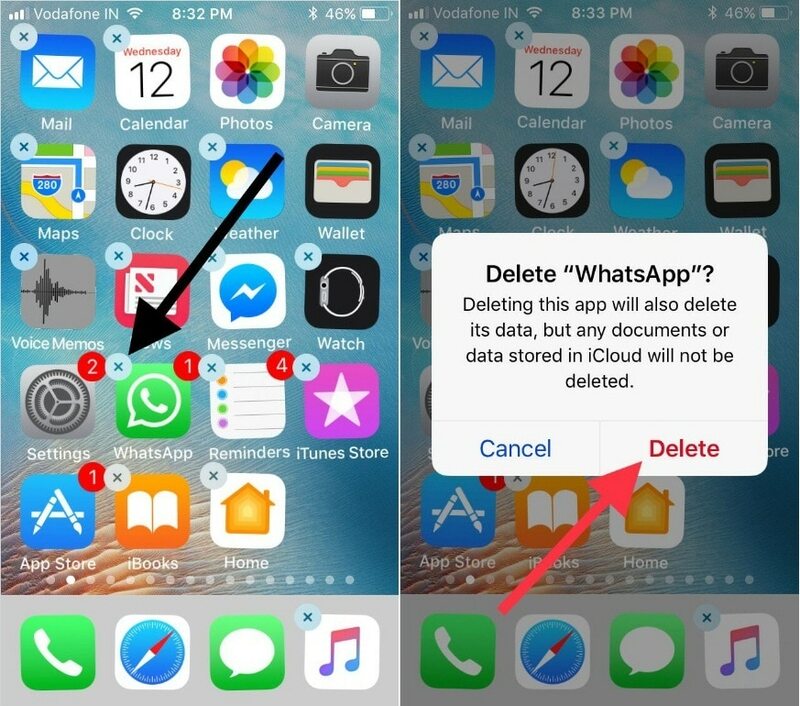 Find Whatsapp under Notifications Settings – turn to Allow Notifications ON – now organize Sound, badge app icon, Alerts such as Show on Cover Sheet, Show in History and Show as Banners, and Show Previews on the lock screen as well. Also Check Sound Settings for Text Tone, New Voice Mail, New Mail [Push Mail], Sent Mail, Calendar Alerts, Reminder Alerts and Airdrop. Go to the Settings > Sounds > Customize sound and Vibration Patterns (Check Not Selected None option for the particular app). Hide Alert will block notification show on the lock screen for incoming text message for individual recipients. Change this setting, Slide right to left on message conversation in Message app. 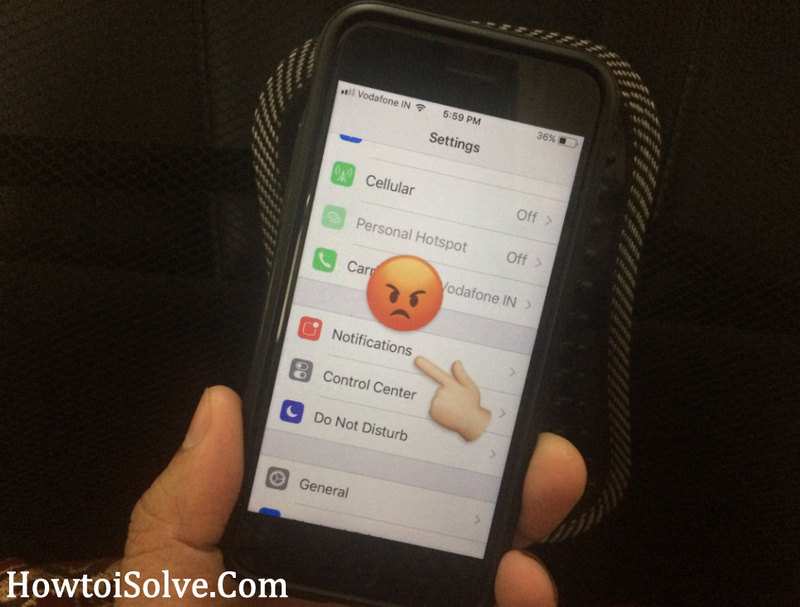 Allow Notifications: Enable it for Getting a notification on the lock screen or Temporary or Persistent Banners on Home screen. Sounds: Pick the Message sound from Settings. We can customize message alert sound and Vibration settings from here. Let’s check out, is running iOS up to date on iPhone? if not, download the latest one and install it. 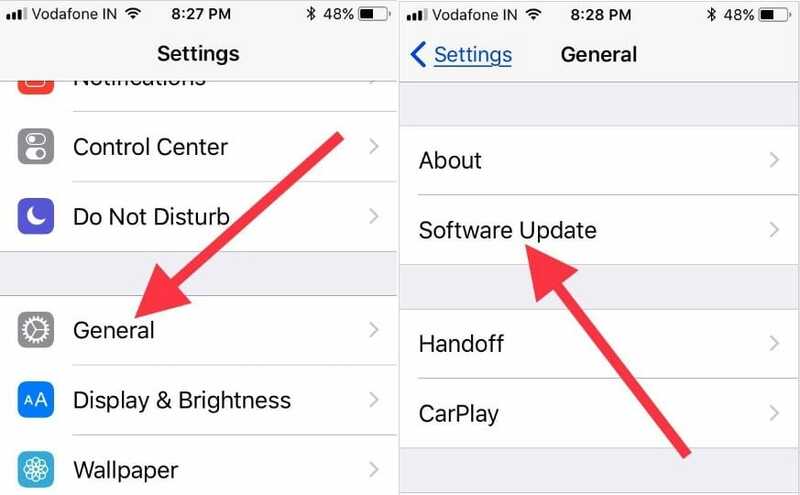 Open the Settings – Tap General – Hit Software Update. After update iOS 11 or above, many users claim that weak Wi-Fi signal or cellular data bricks certain services like notifications do not arrive as well as iOS 11 notification sound won’t hear. So I advise you that keep your device has good Wi-Fi signal or cellular data network whatever you use. let’s pressing power and home buttons simultaneously holding them until Apple’s logo appears on the iPhone/iPad screen then release your fingers. Now test set reminders and test Notification sounds. Get here how to reboot the iOS device without Power button. Note: before deleting an app, you should take the latest backup of App’s Document and Data. If rebooting not working In your case, then you should delete App and reinstall again on your iOS 11 or later device. Everything old sound come back normal. You got the solution on getting rid of ugly Tri-tone notifications. Explore More tips: Notification Not Working on iPhone. What fixes useful to resolved iOS Notifications Sound not working on iPhone, iPad and iPod touch. Hopefully, you can get all upcoming notification alerts like before in iOS. Drop your reply in the comments.